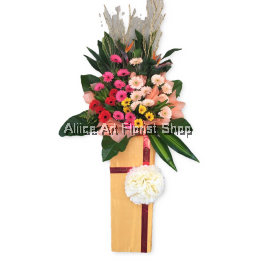 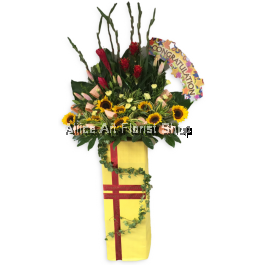 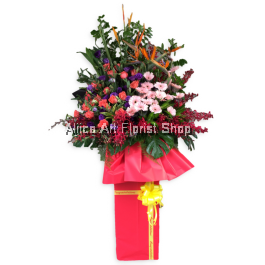 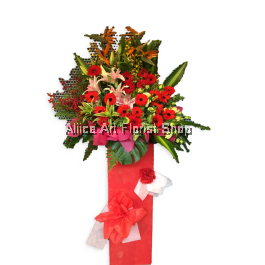 Congratulate the beginning of a new business with a flower stand from Aliice Art Florist Shop! 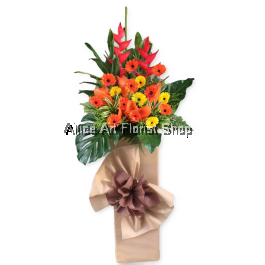 When it comes to flower stand in Malaysia, no one does it better than us! 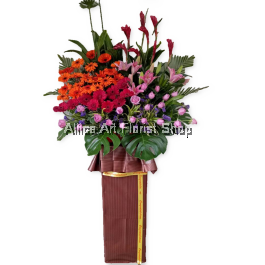 We offer a broad selection of congratulatory flower stand for opening ceremony, corporate event, business opening and etc. 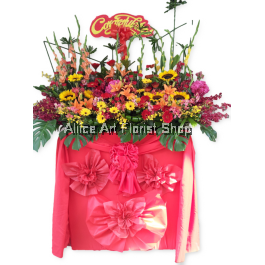 We have a variety of mixed flower arrangement to choose from. 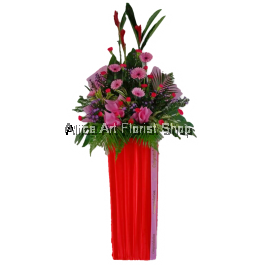 Our flower stands come in a plethora of shapes, sizes, vibrant colours and themes to suit any opening ceremony. 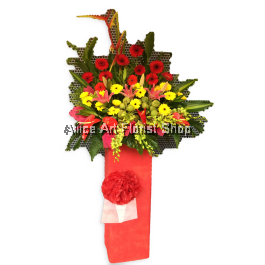 All of them are thoughtfully designed to look grand and luxurious. 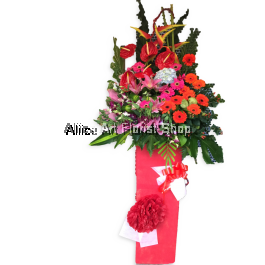 Our flower stands for opening ceremony or corporate event are well-presented in a box which often wrapped or decorated with sophisticated fabric, ribbons and the like. 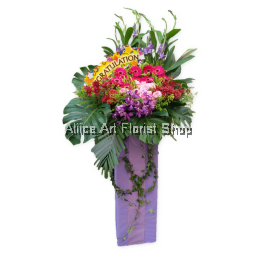 They can be used to decorate the entrance of the shop, office, restaurant or café, making the surrounding looks more welcoming. 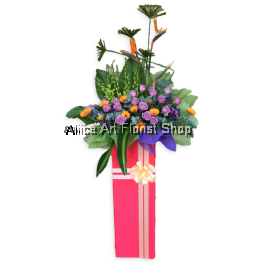 Other than that, each of our flower stands comes with a complimentary message card. 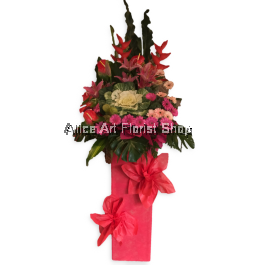 If you are searching for the best flower stand in Malaysia, look no further than us. 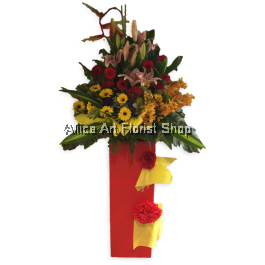 Our experienced florists will always provide you with stunning and high quality flower stand at attractive prices. 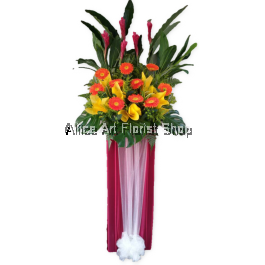 Also, they are ever-ready to assist you in choosing the flower stand that is just right for your needs.